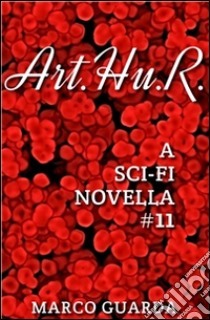 Art.Hu.R. is an artificial person appointed with the task of keeping ship-shape a huge spaceship on her thousand-year journey to a planet on the other side of the universe. Little does he know that major setbacks will soon put him in charge of everything, and that he’ll have to fight against impossible odds to get the half a million unaware passengers stuck in a frozen sleep onboard safe and sound to their destination. It’s a novella of about 27,000 words.